First some information for those blog readers who are not from New Zealand or Australia: Changeover is a NZ bred horse (In The Pocket x Chaangerr) who was an outstanding racehorse winning from 2yo through to 6yo at the highest level and showing all the speed, courage and stamina you could wish for. He ended his racing career with the statistics of 66 starts for 29 wins and $2.4 million in the bank. And as an entire, he retired to stud. He has been well received by New Zealand and by many Australian breeders. In New Zealand he served 226 mares in his first year (for a slightly disappointing 160 live foals born in 2011), 137 in his second year for 99 live foals in 2012, 113 in his third year for 89 live foals in 2013, and 142 for 100 live foals born in 2014 – and it seems he has had about the same number of mares served in the last season. He has had over 100 Australian bred foals as well. How is he turning out? In my view, he is already proving himself as one of those horses who will translate the qualities they had on the track into the breeding barn with a very, very solid performance as a sire to date, from only a few crops (oldest are 3yos). His NZ bred progeny (raced here or in Australia) are looking good (see list of winners below). Currently his 3yos (142 registered) have 80 qualifiers, 46 starters and 25 winners (interestingly 4 from Presidential Ball mares and 5 from Live Or Die mares). Of his 88 registered 2yos, 7 have qualified so far this season and 1 is a winner. We know that Changeover was a super younger horse, but a scopey type who got better and better as he matured. So the signs for these youngsters is positive. It is a good start, and more will come from each crop as they develop. Which is why I wonder how much it takes for our great home-bred sires to make a really important in-road into the commercial end of the market, especially at yearling sales time. We take a huge discount for “local” and then for “may need time” types. 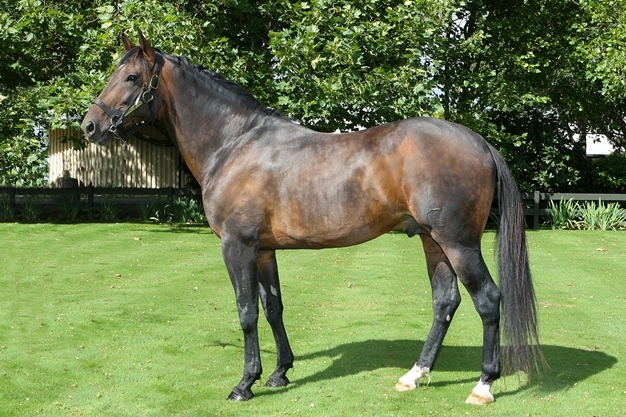 Changeover (and others) cannot be pidgeon-holed in such a simplistic fashion – he was a versatile racehorse, and appears to be a versatile sire. The average price of Changeover yearlings sold at the two New Zealand yearling sales – (the Australasian (Karaka) and Premier (Christchurch) – this year was just over $12,000, with 3 not sold and 2 withdrawn. But check out how his statistics look when you examine his winners to date. There is a sense of quality about their wins and their ratios of starts to placings. While obviously not all his progeny will turn out to be winners, the odds are looking good for Changeover as a solid punt for buyers rather than an outside bet. However his prices are yet to reflect that.